Made of premium quality plastic material, durable and odor-free, comfortable to wear with smooth edge, would not hurt your sensitive skin. Simple and classic design make you more elegant and refinement and add a touch of mysterious to you, retro style eye mask makes you be the center of the party. Fit for many occasions, such as costume party, performance props, cosplay party, masquerade, Mardi Gras, birthday, carnivals, etc. 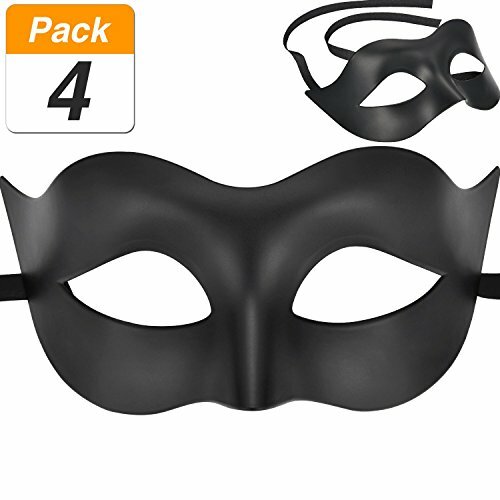 Wide applications: fit for many occasions, such as costume party, performance props, cosplay party, masquerade, Mardi Gras, birthday, carnivals, etc.